BEITBRIDGE - Dulibadzimo Primary School was the toast of the day when it won the Beitbridge District NAPH Choral and Jikinya competitions held at Wellton Primary school last Friday. It snatched four top prizes by coming first in the choral competitions, winning the best drumist, the best boy dancer and best jikinya costume accolades. Nine schools participated in the competitions where Schools Inspector was the guest of honor. The winning teams will proceed to the provincial competitions which are slated for Thursday and Friday this week at the same venue in Beitbridge. The national competitions will also be held in Beitbridge at the same venue from November 20 to 23. 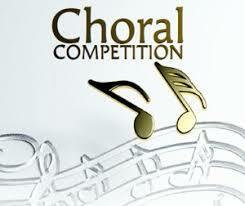 Luthumba Primary came second in the choral competitions and on third position was Beitbridge Mission. Dulibadzimo choir conductor SikhangeziweButawo said she was impressed by her choir’s utmost performance. Roman Catholic-run St Joseph primary came top in Jikinya Competition and Dulibadzimo and Beitbridge Government were second and third respectively. St Joseph teacher, Joice Pedzisai was adjudged best Jikinya trainer and Musiwa Sibanda of Beitbridge Mission got the best choral conductor honor. Tadiwanashe Muzokomba of Dulibadzimo primary was the best boy dancer and Beitbridge Government Primary pupil Valerie Muleya was awarded best girl dancer. The set piece was sang in Tonga depicts the bemoaning the erosion of the local culture by westernization. Adjudicators were from Joshua Mqabuko Nkomo Polytechnic. In their criteria, they looked at whether the choirs managed to depict the tempo of mourning, put the mood into the song to effect communication, pronunciation of words and dissonance among many other factors. Beitbridge Government is the only school that partook in percussion band.